The pulpit commemorates those from the Donnybrook Parish who died in service or were killed in action in World War One. There was much rejoicing on the occasion of the visit of His Lordship, the Bishop of Bunbury, at All Saints' Church, Donnybrook, on March 27, and the 3.30 p.m. service, with its large congregation of worshippers from the far reaches of the parish, will ever remain a memorial one. 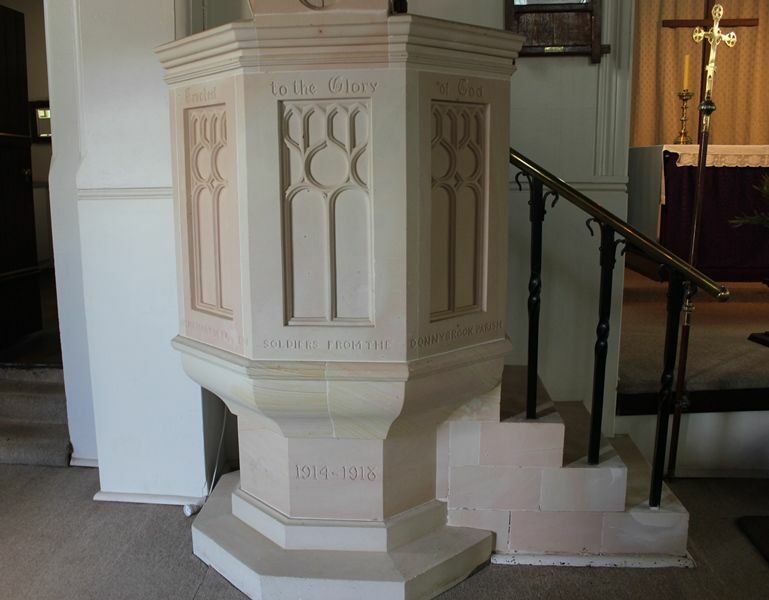 The occasion was the consecration of the war memorial pulpit, a handsome structure of white carved stone finished with brass hand railings. 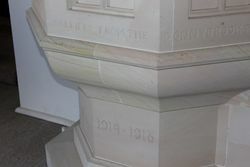 The inception of the war memorial idea dates as far back as 1922 and the committee who undertook to collect sufficient funds as well as those who contributed, are pleased with the results, which, although they have slowly matured, and as greatly appreciated. On Sunday there was £25 stiil owing, but the committee were hoping that the collection from the service would go a long way to eliminate this sum. The Bunbury Herald and Blackwood Express, 1st April 1927.